The majority of early learning programmes in South Africa take place in ECD centres and as a result, exclude children whose parents can’t afford the centre’s fees, or live in remote areas where there are no centres. The SA Early Childhood Review 2016 estimates there are over 1 million children, aged three to five, who are not attending any sort of group learning programme at all. These children need quality, subsidised early learning urgently. Ilifa is working to fill this gap through the Early Learning Playgroups programme. Early Learning Playgroups is a non-centre based programme, for children aged three to five years. 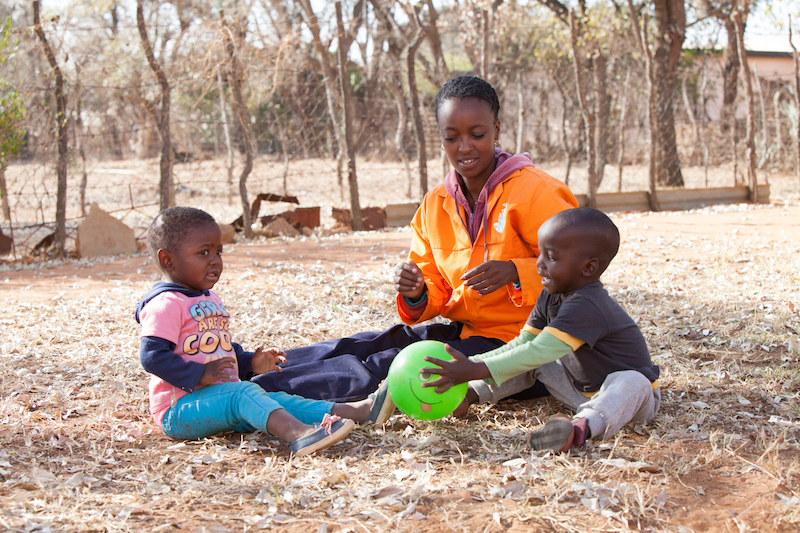 Playgroup facilitators are recruited, and paid, by the Community Work Programme (CWP), which is a government initiative that pays unemployed people to do useful work in their community. Our partner Cotlands trains CWP participants to facilitate playgroups. Once playgroups are up and running, they join the SmartStart social franchise, which is a support network for playgroups, ensuring that the quality of the early learning service across all network members is consistent. The playgroup facilitators, who we call SmartStarters, remain part of the Community Work Programme and are paid by the Department of Cooperative Governance and Traditional Affairs. Our partner, Lima Rural Development Foundation, facilitates the relationships between Cotlands, SmartStart and government. We piloted the programme in North West province during 2015, and, at last count, had 967 children registered in playgroups. That’s almost 1000 children previously not receiving any form of formalised early learning. Our goal is to demonstrate that the Early Learning Playgroup programme is a cost-effective, non-centre based way to deliver early learning, using existing government systems.